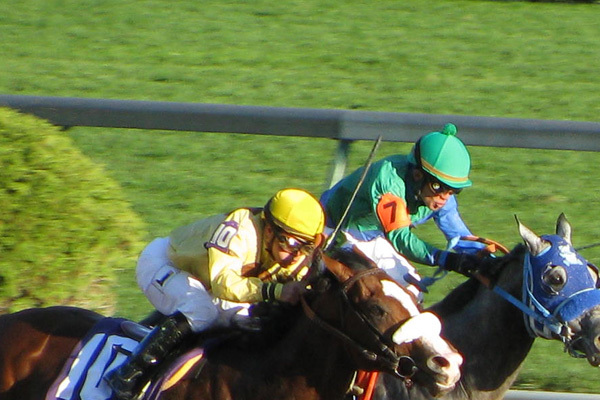 Watch thoroughbred horse racing at the nation's top horse parks and place your bets live and in-person. 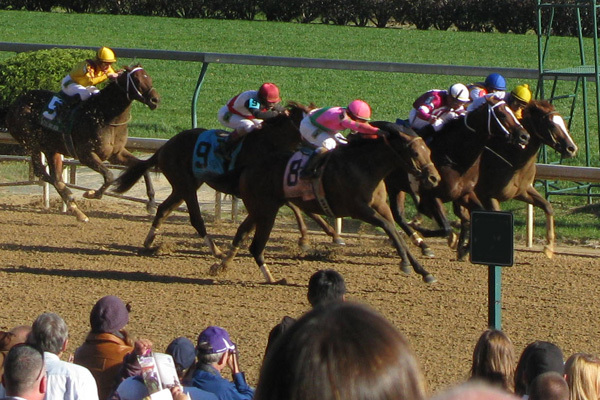 Sports Traveler has your ticket to top events including the Kentucky Derby at historic Churchill Downs in Louisville, Kentucky. Travel packages and tours are also available for the Breeders Cup and The Preakness. Witness the Triple-Crown as part of a full-guided tour program and sit back, relax, and let us take care of your lodging, transportation, and VIP hospitality. Buy 2020 Kentucky Derby Packages and Kentucky Derby Tickets! The date of the 2020 Kentucky Derby is May 2, 2020. 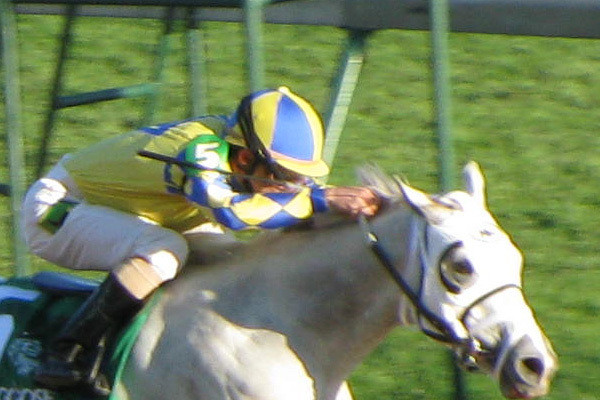 Visit Churchill Downs to experience the excitement of horse racing’s biggest event. Our 2020 Derby Hotel Packages include Kentucky Derby 2020 Tickets, unique one-of-a-kind Derby experiences, and lodging in Louisville close to Churchill Downs or nearby Lexington. Kentucky Derby 2020 packages also include transportation to the Kentucky Derby and Oaks at Churchill Downs. Book your 2020 Kentucky Derby Travel Package or Derby Tickets today! It's not too early to start thinking about Kentucky Derby 2021. The 2021 Kentucky Derby date is May 1, 2021. We will be offering packages beginning a few weeks before the 2020 Kentucky Derby. Trip deposit options and payment plans will be also available. Sign up today for 2021 Kentucky Derby Package Information! Book your trip today to the 2020 Kentucky Derby! Attend the Fashion and Sporting Event of the Year! The 20120 Kentucky Derby will be the fashion event of the year. We offer inclusive Kentucky Derby 2020 weekend packages at top hotels, Derby and Oaks tickets, transportation to Churchill Downs, local area Derby experiences, and VIP hospitality at the track. Get tickets to the Kentucky Derby! Get your tickets to the Kentucky Derby. 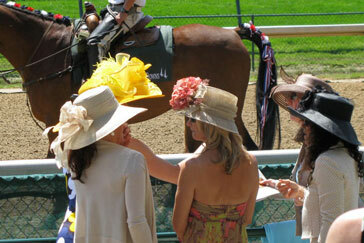 We offer reserved Kentucky Derby Tickets and exclusive VIP hospitality. Churchill Downs ticket locations include the Infield, Grandstand, Clubhouse, Turf Club, or Millionaires Row. Where to stay for Kentucky Derby 2020? Stay in hotels close to Churchill Downs in Downtown Louisville or plan your Derby Weekend to stay in Lexington and include a tour of the Blue Grass Country on our Lexington Horse Farm Tours. Whether you stay in Louisville or Lexington, go behind the scenes and learn how Kentucky Derby winners train plus explore local bourbon distilleries for tastings. These Kentucky Derby experiences will leave you with memories that last a lifetime. The 2019 Preakness will take place at the legenday Pimlico Race Course and is the second race of the famous Triple Crown. Preakness tickets and tour packages are available including Preakness tickets, hotel accommodations in Baltimore, and race day transfers. Vip hospitality and luxury level tickets are available options with most of our tour packages. The 2019 Belmont Stakes will take place in Elmont, New York. This race is the third and final leg of the Triple Crown and normally the most challenging because of the length of the giant lap at Belmont Park. Tour packages are available including Belmont Stakes tickets, hotel accommodations in Elmont, and race day transfers. VIP hospitality passes and access to exclusive parties can also be added to many of our tour programs. The 2019 Breeders Cup will be held at historic Santa Anita Park in Arcadia, California. Our inclusive tour packages are available including Breeders Cup tickets, hotel accommodations, VIP service.